Proponents crowed that a middle class family, making $90,000 a year, would get a $3,000 cut in their income tax. $90,000 a year. We don’t make anything near that. Do you? I started looking into it, and found some interesting information . . . . This is a screen shot of our results in the Tax Calculator (Image: Open Policy Center). To start with, I found The Open Source Policy Center (OSPC) at The American Enterprise Institute, or AEI, a conservative-leaning Washington, DC-based think tank. The OSPC contributes to an open-source tool, called Tax Calculator, developed by economists and contributors across the partisan divide that anyone can use to better understand tax policy. The calculator is designed to see who would get a tax cut and who would see their tax bill go up. We plugged in a few numbers, and got the result in the image above. Good thing, because we’ve filed our 2018 taxes, and the Tax Calculator proved to be rather optimistic. In fact, our taxes went up this year! We are pretty well below any poverty line when it comes to income, yet we’re paying more income tax the first return after the wonderful new tax “cut” we’re all supposed to be so happy about. Now, to be fair, we’re a little happy about the new situation. Ever since we started improving our homestead’s off-grid power system in 2007, we’ve accrued Solar Tax Credits almost every year. Since the operative term is “tax credit,” we couldn’t realize this benefit until we had to pay taxes that the credits would then defray. This year, we started getting the credit, zeroing out the taxes we owed. It’s nice to finally see some of that return. So, at least there’s that. But, here’s the real issue: despite the prediction that our taxes would go down for a few years, they went up. I assume they’ll continue to go up. Ironically, when we filed our taxes, the government was closed. The Government Shut Down brought to public attention that 80% of Americans live paycheck to paycheck! Two thirds of Americans have saved less than $1000. If you’ve followed this blog at all, you know we talk a lot about frugality on this blog. So much so, that I decided to release an eBook on the subject. 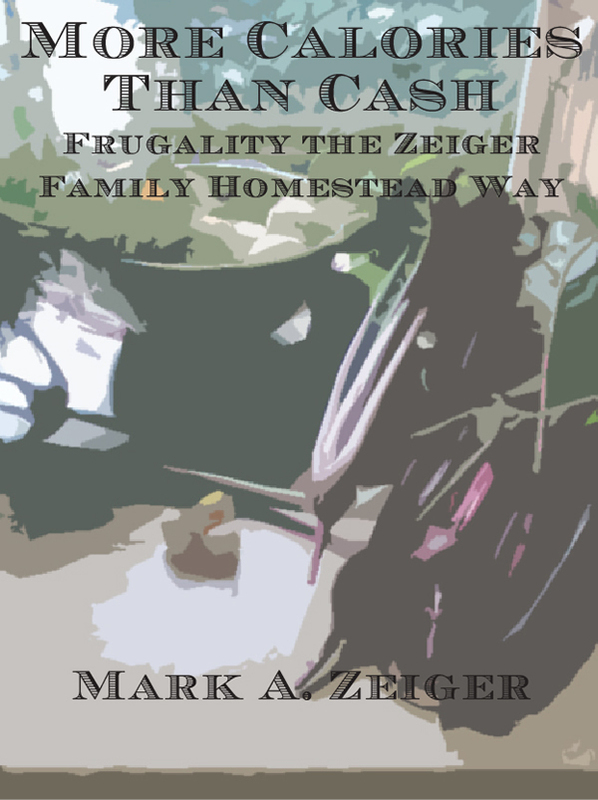 I’m pleased to announce the release of More Calories Than Cash: Frugality the Zeiger Family Homestead Way. 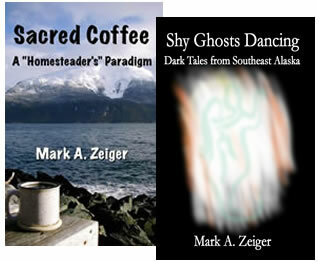 This short eBook—close to an ePamphlet—distills much of what this blog has to say on the subject of frugality up to this point, minus the section on Living Frugally in my previous book, Sacred Coffee: A “Homesteader’s” Paradigm. At the moment, the new publication, More Calories Than Cash, is exclusive to our Website. You can’t buy it anywhere else on line. And, because it’s supposed to help save you money, we’re starting with the price: $1.99. You can find it here. I hope it helps!